At the occasion of a reorganization in 2014, the question came up about how we would manage the work of nearly 300 employees based in 6 worldwide locations. As we were expecting to get a central server to manage all our local Ignition servers, and this server would have been serving data for all this population, it was decided to build an application in Ignition, to get the possibility to link plant data, with people and management data. 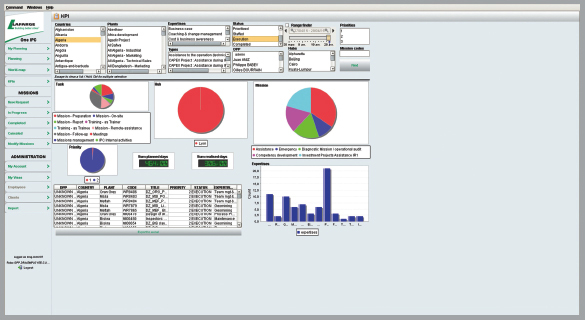 The main application has three main workflows: 1) The missions, which are requested by plant managers (help, assistance, technical studies); 2) the activities (who is working on which subject); and 3) the timesheets, which now show what has been done before together with what will happen, in order to avoid duplicate entries and to provide a real-time forecast. It also has a world map view allowing to the user to see where plants and people are. 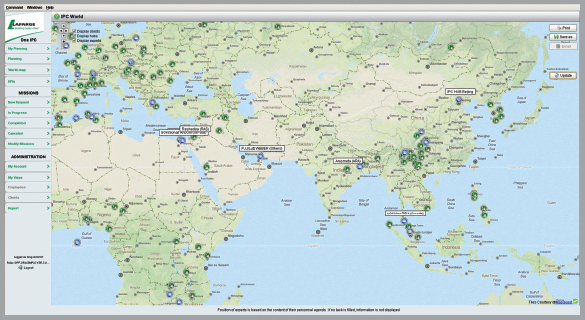 This worldmap also provides a way to access Ignition plant projects directly through a right-click, a list of the local projects, and redirection to the local plant/project. Today this application is used by almost 600 users (plant managers, experts, and intermediate management), with a peak to 40-50 simultaneous users. From the previous system (reporting only of timesheets), we now have a view in real time of what will happen, where, for which reason, who has validated the need, etc. This project is a great example of a non-direct industrial application in the platform. OneIPC is a Human Resource Management tool on a massive, multi-country scale. 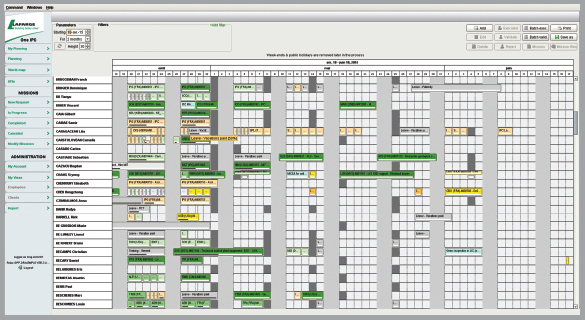 OneIPC provides operators with an overview of all projects and their real-time progress. With over 600 employees all over the globe, Lafarge needed a solution that could easily manage so much data.